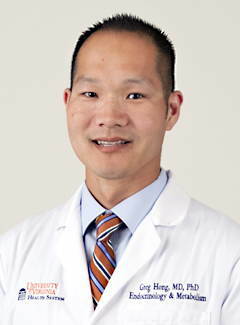 Dr. Greg Hong was appointed to the Academy of Distinguished Educators. The ADE was founded by the Dean of the School of Medicine in 2003 to provide an organizational structure that would recognize, reward, promote, and further develop excellence in medical education within the School of Medicine. The members of the Academy have worked over the years to develop criteria for future membership, to investigate a peer evaluation program, and to fund excellent educational research projects. The School of Medicine charge to the Academy is to recognize and reward outstanding teachers; to work to make excellence in teaching a domain of academic advancement; and to develop effective faculty educators across the academic medical center.